Advanced variables can be used. 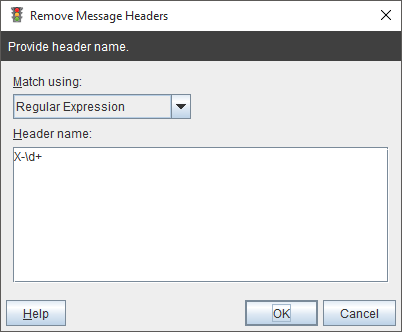 Replaces each substring of the message subject that matches the given regular expression with the given replacement. Advanced variables in Replace with field can be used. Adds a recipient address to the message envelope. 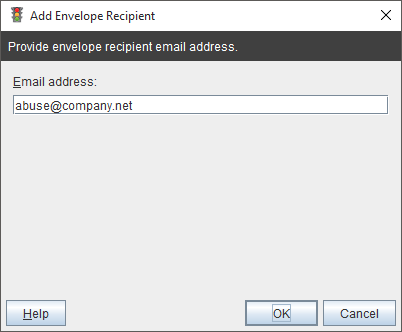 Removes a recipient address from the message envelope. 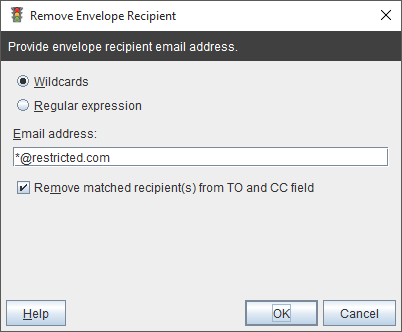 If Remove matched recipient(s) from TO and CC field option is selected then matched envelope recipient(s) also will be removed from TO and CC message headers. Adds an attachment file to the message. 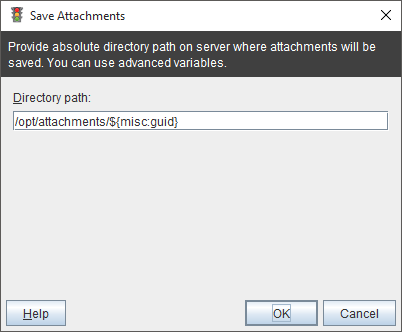 File must be located on the mail server and should be readable by MTA. 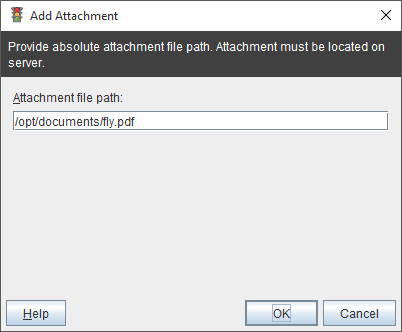 Removes attachments from the message based on the attachment name. 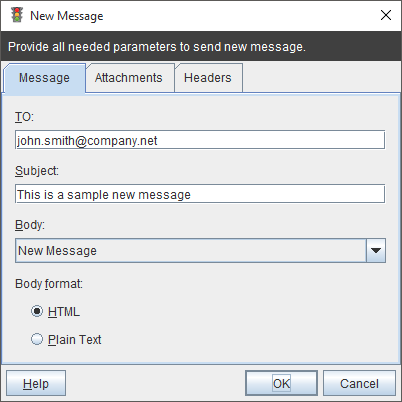 Removes attachments from the message based on the attachment MIME type. 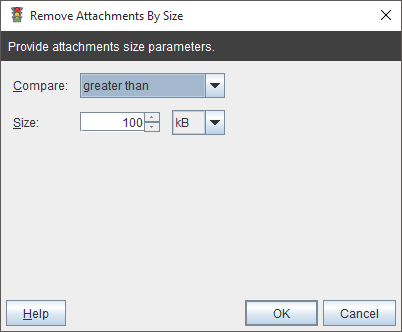 Removes attachments from the message based on the size of an attachment. 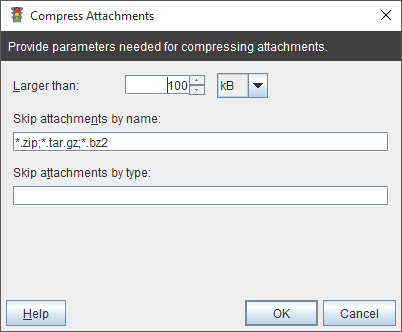 Compresses all attachments larger than specified size. Skip attachments by name - do not compress attachments already compressed - list of file name attachments separated with semicolon, attachment file name matched using wildcards. 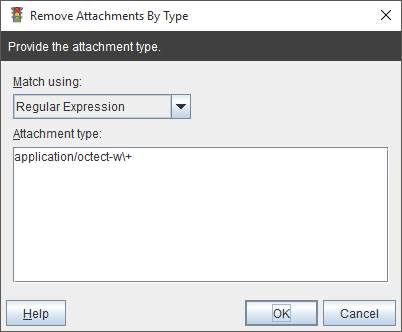 Skip attachments by type - do not compress attachments matched by attachment type - list of file types attachments separated with semicolon, attachment file type matched using wildcards. 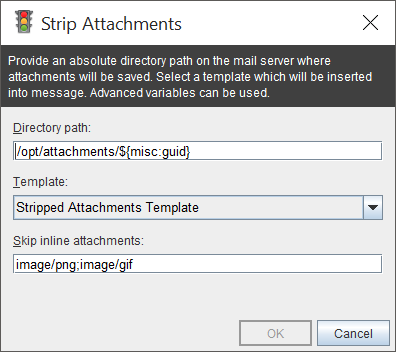 Strips all attachments to the specified location on the mail server and inserts information at the top of the message. Before using this action a template need to be first created. Several values can be separated with semicolon. Wildcard asterisk (*) can be used to match zero or more characters. 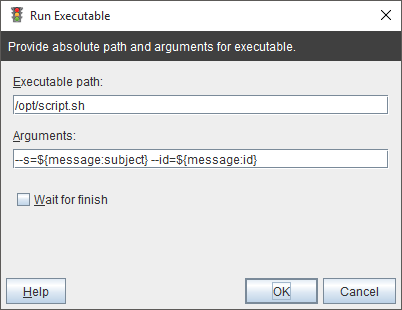 Advanced variables can be used in Directory path field. 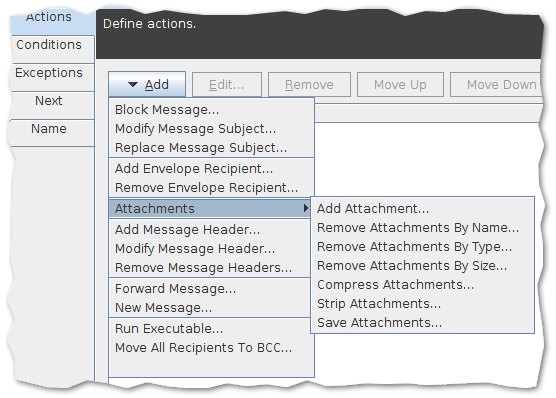 Saves all attachments to the specified location on the mail server. 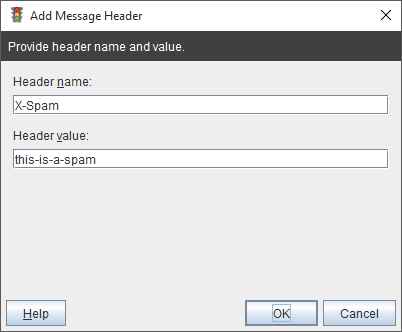 Adds a new message header to the message. 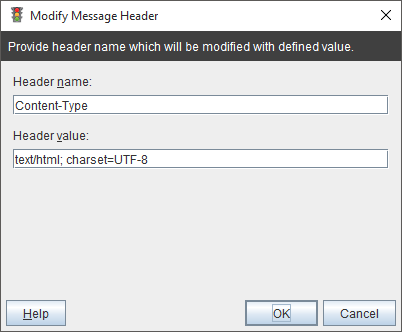 Advanced variables can be used in Header name and Header value field. 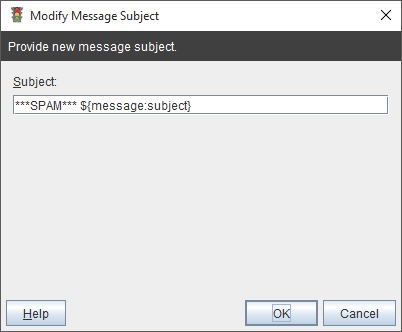 Modifies whole message header value. 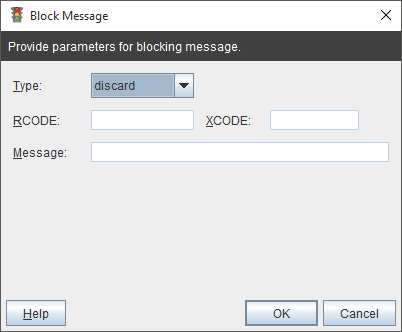 Advanced variables can be used in Header value field. 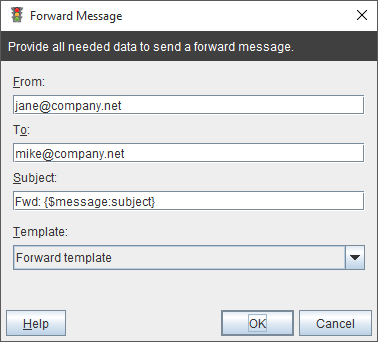 Forwards the message to a specified recipient. 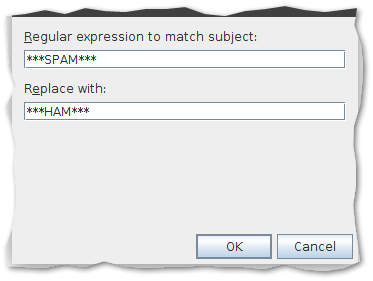 Advanced variables can be used in From, To and Subject field. Runs a script or application. Advanced variables can be used in Arguments field. 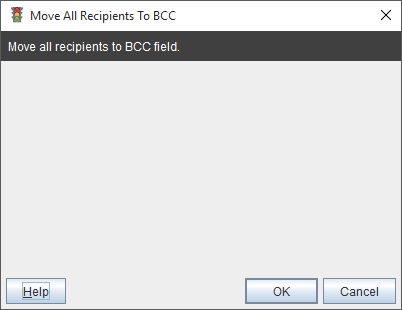 Moves all recipients from TO and CC field to BCC.